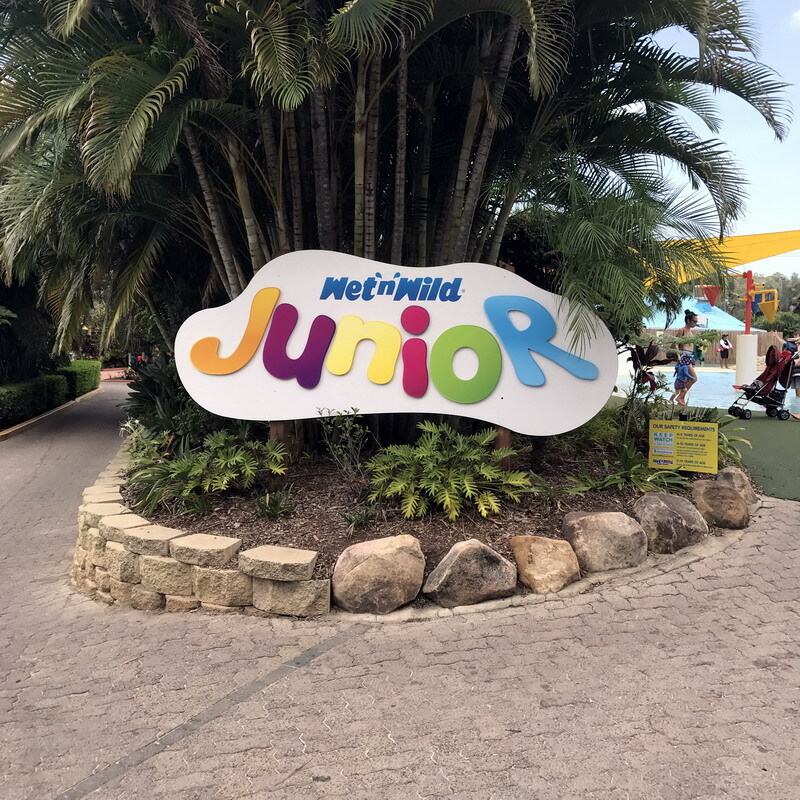 On our last visit to Surfers Paradise we ran out of time to visit the iconic Wet‘n’Wild Water Park, so when the opportunity came up again, we were determined to make it a priority and/or somewhere to cool off in the warm Queensland weather. Wet‘n’Wild is a large water park located in Oxenford, Gold Coast and is owned and operated by Village Roadshow Theme Parks. The park is open all year round with all of the slides and pools heated in the cooler winter months. Now we might not be bikini body ready, but that didn’t stop us from having an amazing day. This area is absolutely fantastic for little kids and is where we spent most of our time. 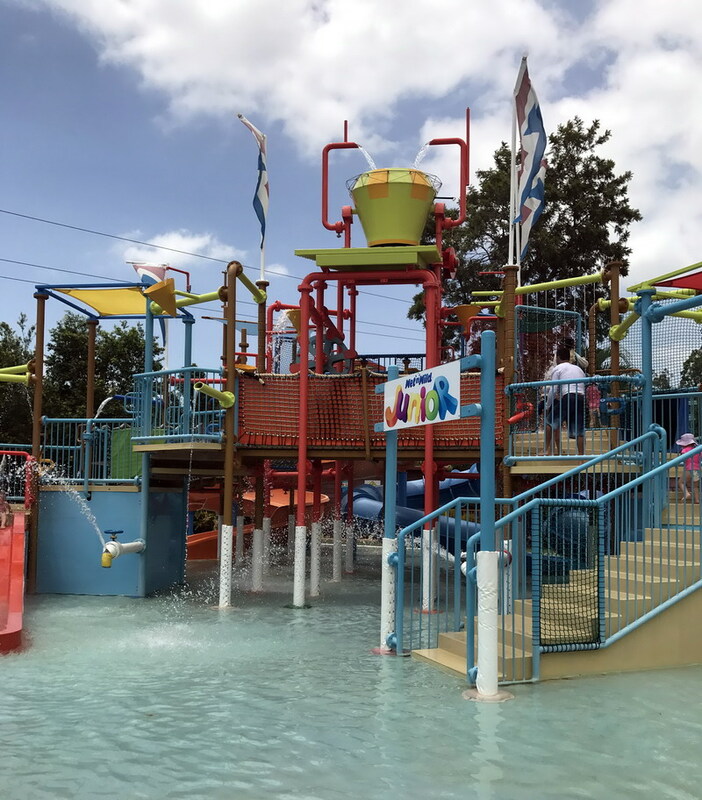 Wet’n’Wild Junior was designed especially for kids and features kid friendly water slides and a multi-level play area with slides and giant tipping bucket. 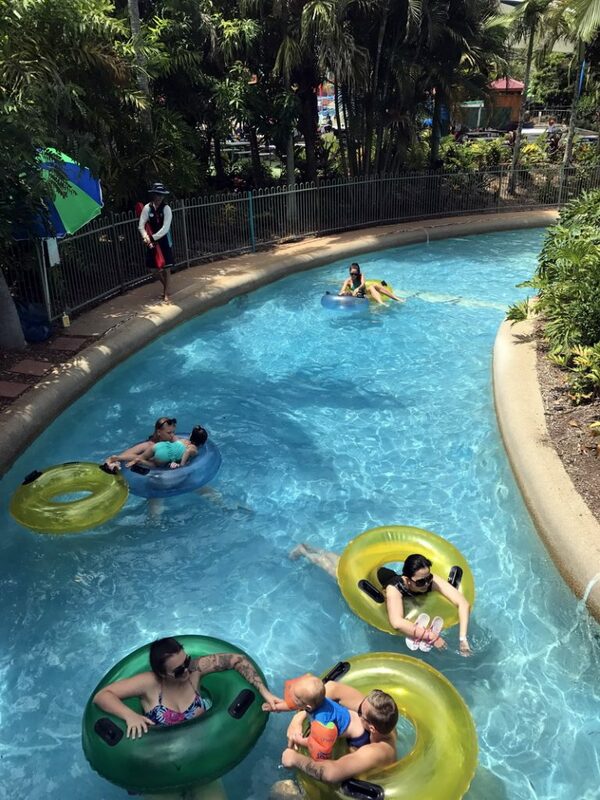 Get yourself a tube and relax as your float around the lazy river, while taking in the surrounds of the tropical gardens. The Giant Wave Pool was definitely one of our favorites for the day. Here you can just chill out in the pool and watch the waves roll in. Instead of lugging your bags and towels around or hiring a locker for the day why not take it one step further and hire a luxurious Cabana for the day. Not only will you feel like a VIP and have your own little area for the day, but it will also come with sun lounges, deck chairs, and a coffee table and be fully shaded in, which is fantastic if you have kids. It’s the most exclusive way to experience Wet‘n’Wild. Prices start from $99.00. Please check the website for prices and availabilities. There are a few different food options at Wet‘n’Wild so if you are looking for the best burgers in town, head to Bombora Burger Bar. For pizzas, head over to Dominos 2 Go and if it’s a super-hot day, then you definitely need to head over to the Frozen Coke Stand, where they have a variety of delicious Frozen Coke flavours. If you are looking for something a little bit more substantial then burgers and pizzas then make a line to the Village Bean Coffee House. Here they serve yummy rolls and sandwiches, gourmet pies, sweet treats and a great variety of hot and cold beverages. ** Organise a Splash Cash card. It’s the most convenient way to carry your cash without actually carrying your cash! You simply credit a waterproof wristband with whatever amount you choose. You can slide’n’swim while wearing your wristband and then come time to buy lunch or a souvenir you just swipe your wristband to pay. The money is automatically deducted from the wristband just like your bank account. And at the end of the day you download the remaining cash back into your pocket. It’s that easy! ** Pack a picnic lunch and enjoy it in one of the shaded areas. ** Bring a couple of bottles of water because when the weather is hot, you can get dehydrated pretty quickly here. ** Don’t forget to pack your sunscreen and make sure its water proof. 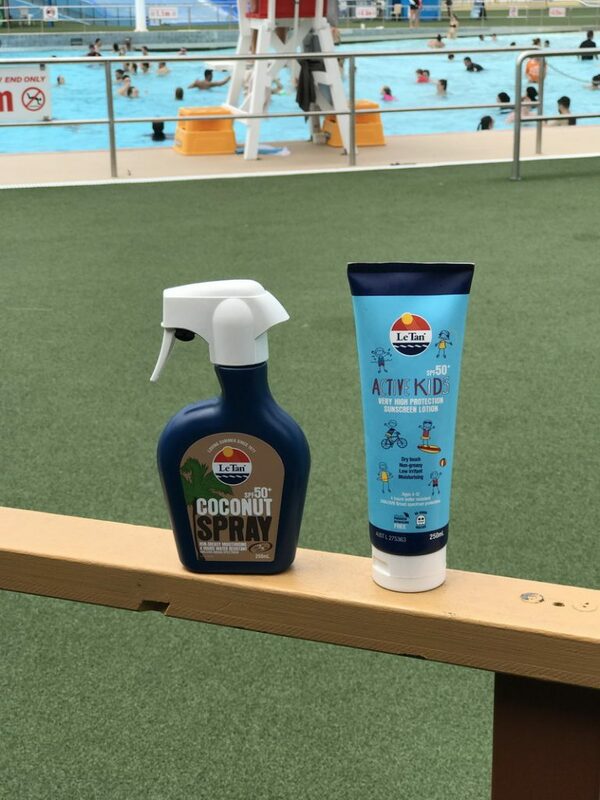 Our favorite is the Le Tan Coconut SPF50+ Spray and the Le Tan Invisible SPF50+ Sport Spray. Don’t get caught without any sun protection. There are different variety passes available, so please check out the website to see what best suits you. 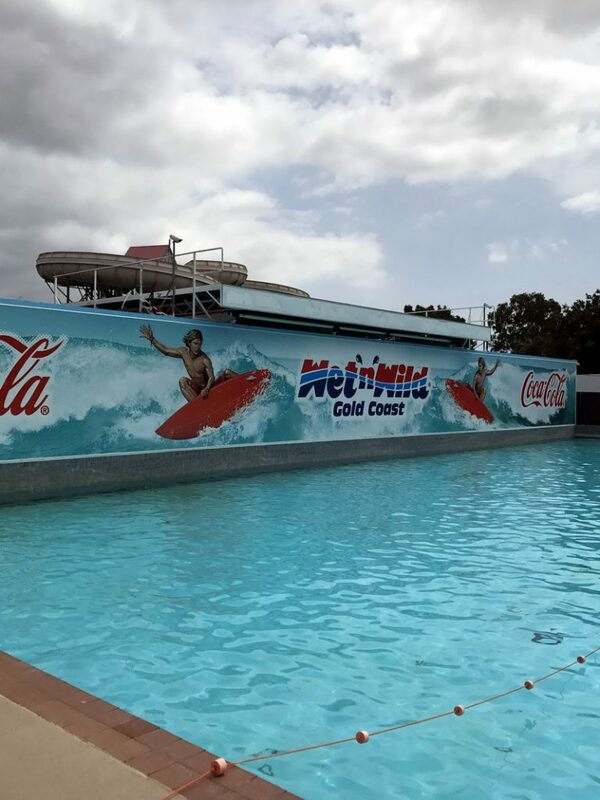 Wet‘n’Wild Gold Coast is open every day of the year except Anzac Day and Christmas Day and is open from 10am to 5pm. 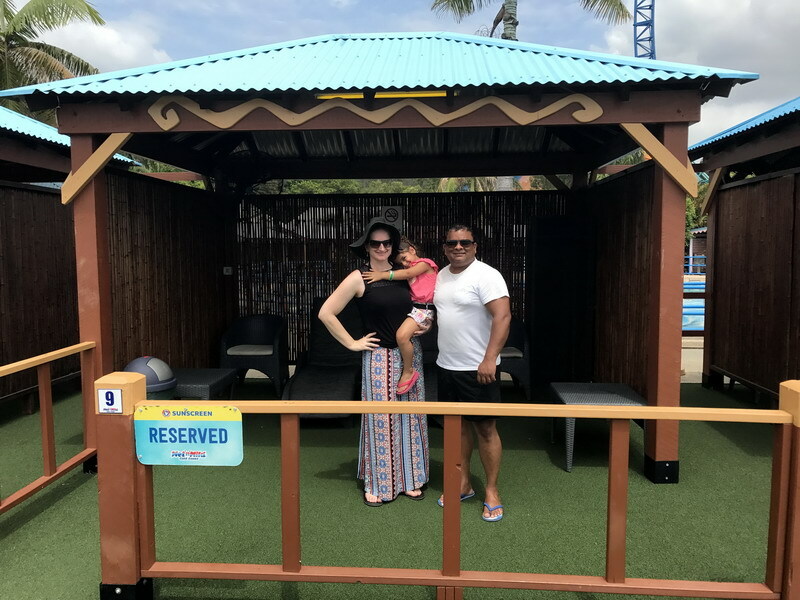 We had an absolute ball at Wet’N’Wild and our four year old daughter had a fantastic time too. We definitely recommend this water park for everyone who loves the water. 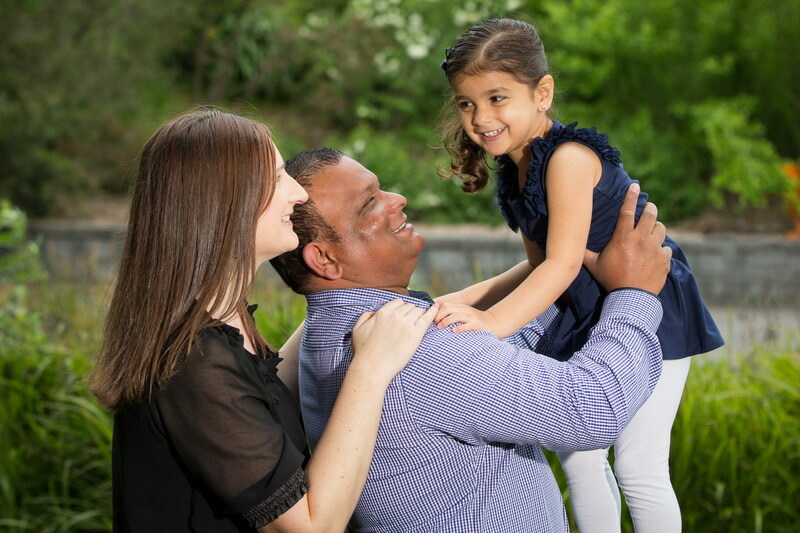 Their rides cater for all ages of children and it’s just a great way to spend the day as a family. We will be back. I would like to Thank Wet‘n’Wild for hosting our visit and as always, I would never endorse or recommend a service or product that I didn’t honestly enjoy! 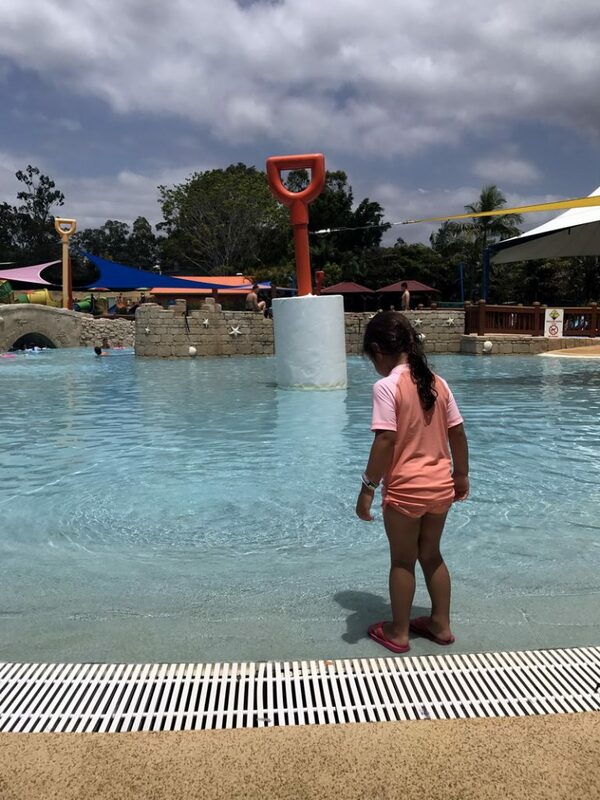 Our family travel to the Gold Coast every young and my kids just adore this water park.